Archangels Salvation Slot is a 6 reel and 100 paylines video slot powered by NetEnt. 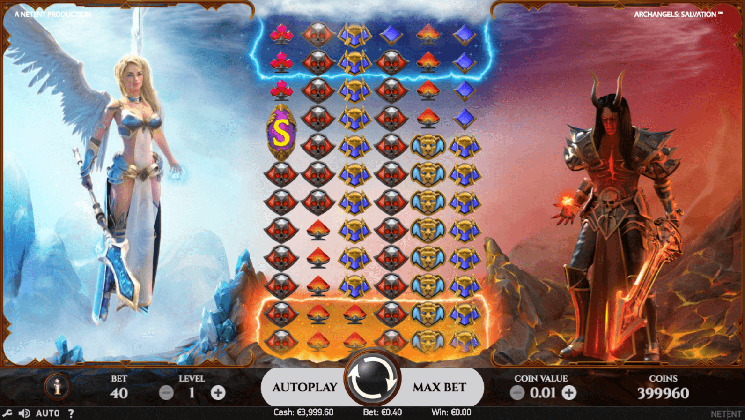 Video slot as the name suggests takes its inspiration from Heaven and Hell. Design of the video slot is divided in two, one half is protected by the Archangels and the other half is protected by the Demon. Low paying symbols on the reels include crystal-styled Dimond, Spade, Heart and Club, whereas middle paying symbols are skulls, lions, hoods and helmets. Archangel and Demon are the highest value symbols. Before investing real money players can try Archangels Salvation Slot for free, or visit any NetEnt Casino such as: SlotV Casino, Wild Tornado Casino, PlaySunny Casino and others to play with real money and win. Wild is a colossal 2×2 symbol, which can be used as substitute to other symbols except for Scatter. Before you join the forces with the army of Heaven or Hell, your wager needs to be placed. Like any other NetEnt video slot, Archangels Salvation have a standart 5 button layout. With the “Level” button player can choose number of coins per line. “Coin Value” button as name suggests is for setting value of the coin. If players want to start the game with already highest bet level there is special “Max Bet” button. “Autoplay” will give you an option to select number of the spins and game will play automatically, while “Spin” starts the game. Stacked Wilds feature comes in two different ways, if the 2×2 Wild lands on the side of the Heaven, you will be generate 4 stacks of Wilds. If Wild lands on the Hell side then you will get 8 wilds. 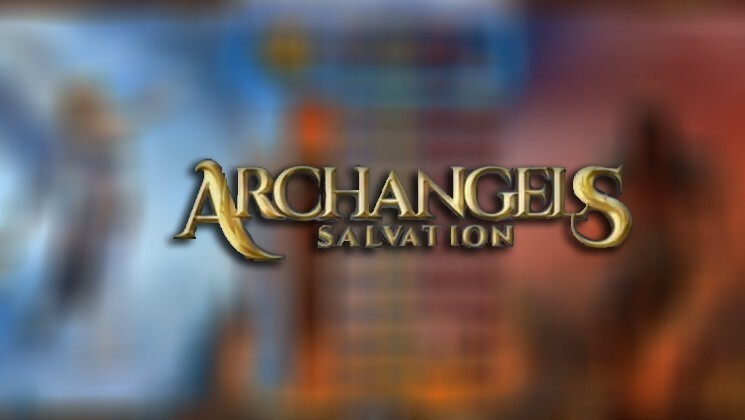 Archangels Salvation also have a Free Spin feature as well. If you land 3 or more Scatter symbols, feature will be activated. More Scatter appear, more Free Spins you will get, 3, 4, 5 or 6 scatters will reward you 10, 15, 20 or 25 free spins. Unfortunately, you cannot retrigger more free spins. Release Date: 24th April 2018.